Increasingly recognized as an essential soft skill, collaboration leads to success in education, work and responsible adulthood. It is critically important to start teaching the 21st-Century skill of collaboration as young as possible—ideally in early elementary school. One way to develop these skills is through Project-Based Learning (PBL). Melissa Unger teaches STEAM to first and second graders in a group-oriented, project-based classroom in Western Pennsylvania. “One of the goals in my classroom is teaching students the importance of working together,” she said. Her challenge is teaching abstract, non-tangible collaboration skills. Unger’s students work collaboratively in groups from two to five on various projects. She breaks down projects and has her students stop periodically to consider other students’ ideas and their own thoughts. Unger and Aion are two exemplary educators that ISA Learning has had the pleasure of working with in various ways. Both use PBL to engage their students in multifaceted group projects. But they don’t just ‘do PBL’ and expect students to magically become collaborators. Some of what sets Unger and Aion apart are their careful crafting of classroom norms and purposeful collaboration skill-building, so students are prepared to be successful during group work. Through collaboration, students learn to communicate with each other clearly, work together effectively and resolve conflicts. They can learn the importance of being empathetic and encouraging of other students. Productivity increases. Over time, students learn the value of working in a team and learning with and from others who have very different ideas than their own. Projects become more student-driven, rather than teacher-driven. Says Unger, “When students become better collaborators, it gives me more time to observe students’ interactions and think more deeply about instructional decisions. My students gain a greater sense of freedom and responsibility to challenge themselves, reach new goals and expand their knowledge. They learn the importance of working together and the value of collaboration for their learning experience.” After each group project, Unger has students reflect on their group process and how well they collaborated. The most authoritative research synthesis to date, edited by Dr. James W. Pellegrino and Dr. Margaret L. Hilton, argues that while much is known about how to promote the learning of STEM content and cognitive learning skills using “Deeper Learning” approaches, far less is known about how to promote learning of non-cognitive skills such as collaboration. Changes in teacher thinking and practice around collaboration can have a profound impact on student engagement and achievement. 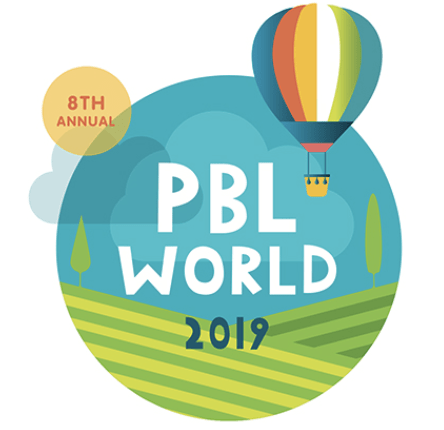 With purposeful preparation for collaboration and highly engaging projects that adhere to the Buck Institute for Education‘s Gold Standards for PBL, students are able to develop thinking skills, content knowledge and social/emotional competencies. “To me, these kinds of collaborative problem-solving activities are critically important for students to develop executive functioning skills that will help succeed in every setting,” Dr. Lippman says. ESSA is also breathing new life into the 21st Century Skills movement. This legislation fuels the search for alternative assessments of student learning. Study partners, like the Council for Aid to Education, advocate for the use of performance assessments as a way to measure what is learned from collaborative PBL experiences. The Collaboration Nation study will help identify alternative assessments of collaboration skills that educators may be already be using. “For this study to have maximum impact, we need to hear from as many educators as possible,” says Ross. K-12 teachers and curriculum directors are asked to join the Collaboration Nation by participating in a short survey at www.collaborationnation.io, sharing their classroom stories through the survey as well. Dr. Jordan Lippman is the Director of the Collaboration Nation study. Follow him on Twitter: @lippmanphd.